The Qualified Lawyers Transfer Scheme or QLTS is a fast-track route for qualification as a solicitor in England and Wales for international lawyers. The programme is administered by the Solicitors Regulation Authority (SRA), the regulatory body of the Law Society of England and Wales. The QLTS assessments comprise a written examination and a practical assessment. The purpose of the assessments is to ensure that all candidates who qualify as solicitors have the knowledge, skills and ability necessary to perform their role competently and ethically. The QLTS replaced the previous regime, the Qualified Lawyers Transfer Test (QLTT) exams, in September 2010. The QLTS scheme promotes much more simple and consistent approach for assessment and covers lawyers from a wider range of jurisdictions comparing to the previous QLTT. EEA, Swiss and UK Qualified Lawyer applicants have their qualifications and experience individually assessed. On the basis of this assessment, the SRA decides which assessments will need to be passed. All other international lawyers need to take all the assessments. The SRA has published a statement of what all solicitors who follow the domestic route to qualification should know and be able to do at the point of qualification. This statement is described at the “Day One Outcomes”. Using the Day One Outcomes as a starting point, all transferees are required to demonstrate that they have the equivalent knowledge and understanding of law and practice in England and Wales in the same areas as that required of individuals who qualify under the domestic route. 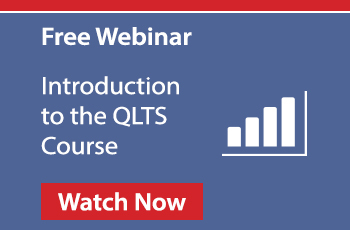 How are You Assessed on the QLTS? The QLTS includes two separate assessments – the MCT (a written assessment) and the OSCE (a practical assessment). The flexibility of the programme enables you to complete the assessments in a short period of time and become a dual-qualified English solicitor in just a few months.